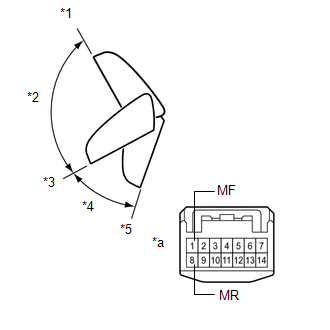 (a) Check the operation of the mirror surface. 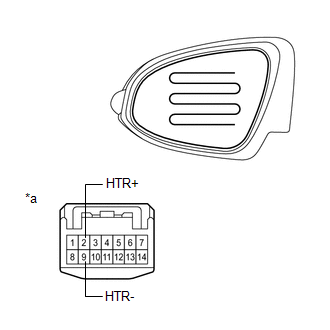 (1) Disconnect the outer rear view mirror assembly RH connector. (2) Apply battery voltage and check the operation of the mirror. 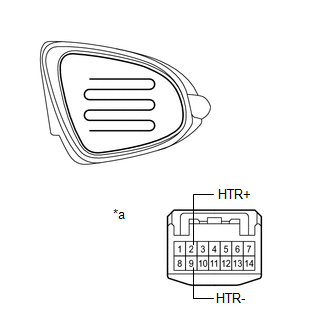 If the result is not as specified, replace the outer rear view mirror assembly RH. Disconnect and reconnect the battery between each mirror position check. The mirror position cannot be changed manually when the battery is connected. To change the mirror position manually, the battery must be disconnected first. 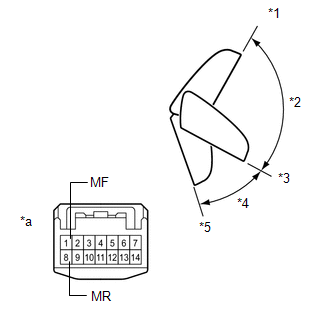 (2) For each position: Disconnect the battery, set the mirror position by hand, connect the battery, and check the retractable mirror movement. (c) Check the operation of the mirror heater. (3) Connect the cable from the positive (+) terminal to terminal 2 and the negative battery (-) terminal to terminal 9, then check that the mirror becomes warm. It takes a short time for the mirror to become warm. 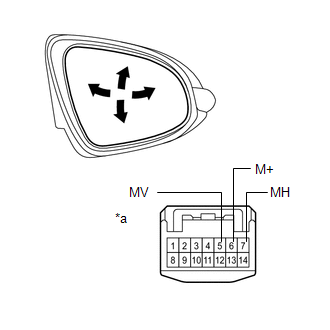 (1) Disconnect the outer rear view mirror assembly LH connector. 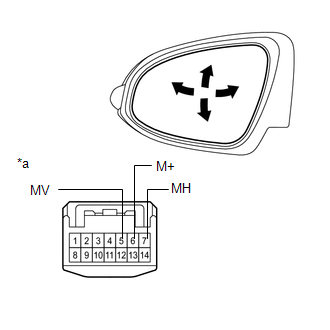 If the result is not as specified, replace the outer rear view mirror assembly LH. (3) Connect the cable from the positive (+) terminal to terminal 2 and the negative battery (-) terminal to terminal 8, then check that the mirror becomes warm.